QPR took a share of the spoils against Millwall in south London, and in doing so, showed their gritty side as they battled their way to what could be an important point come the end of the season. Clear-cut chances were few and far between for both sides, although Matt Smith went close with a couple of headers while substitute Bright Osayi-Samuel had two close efforts late on. It was a big performance from the R's and one that earned a standing-ovation from the travelling supporters. John Eustace made five changes for the trip to the Den from the side that lost at Norwich City, bringing in Toni Leistner, Josh Scowen, Ryan Manning, Mass Luongo and Matt Smith at the expense of Jake Bidwell, Angel Rangel, Jordan Cousins, Pawel Wsszolek and Ebere Eze. The R’s lined up in a 4-4-2 formation with Joe Lumley playing behind a back four of, from left to right, Manning, Joel Lynch, Leistner and Darnell Furlong. Luke Freeman began on the left wing with Scowen on the right, while Geoff Cameron and Luongo were in the centre of the park. 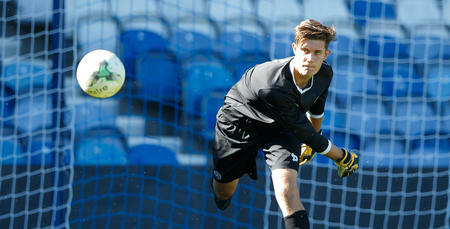 Smith started alongside Nahki Wells in attack. Unsurprisingly, Millwall named an unchanged side from the team that beat West Brom 2-0 here at the weekend. Prior to kick off, the Lions were one point above the relegation zone while the R’s were four points clear of the drop, although the hosts had a game in hand on Rangers and knew victory would well and truly drag QPR into the survival scrap. Two minutes into the game Smith almost gave the visitors the perfect start when Freeman’s floated cross from the left found him, and the big front man fired a fierce volley goalwards which was gathered at the second attempt by Lions stopper David Martin. There were some thunderous challenges flying in from both sides during a frantic opening period. On the quarter-hour mark, Wells got goalside following a great ball by Freeman again, but the Rangers forward saw his shot saved at the near post. It was certainly an encouraging start from Eustace’s men who were throwing their bodies on the line and showing the sort of commitment and battling spirit the caretaker boss had called for before the game. On 30 minutes Freeman was again the orchestrator of another chance for QPR, this time clipping a free-kick towards the far post which Smith headed across the face of goal but there was no-one there to apply the vital touch from close range. At the other end of the pitch, Millwall found chances difficult to come by. Ryan Leonard fired over from distance on 38 minutes but Lumley remained largely untested. However, the hosts would rightly argue the same could be said of Martin, but on 40 minutes Lumley was called into action, saving low following a corner from the right to deny Alex Pearce. In injury time of the first half, Smith saw a header hacked off the line while from the resultant corner he directed another powerful header just over the crossbar as the R’s finished strongly. The half-time scores elsewhere made for grim reading for both QPR and Millwall, with relegation rivals Rotherham, Reading and Wigan all leading. The scores put the Lions in the bottom three, while also dragged the R’s ever-nearer to the relegation troubles. After the break, both sides seemed determined to turn one point into three – and understandably so! First, Lumley pulled off an excellent save to deny Jake Cooper’s header following a corner while at the other end Smith’s diving header looped just wide to the agony of the travelling Rangers fans behind the goal. Manning was then called into action to hack Pearce’s header off the line as the atmosphere in south London – and tension – cranked up a notch. After an hour, Eustace made his first change of the night by bringing on Bright Osayi-Samuel for Wells, and the former Blackpool man played through the middle alongside Smith. And on 72 minutes Osayi-Samuel’s pace created the best opening of the game so far when Freeman’s pass initially hit him, and he was able to race onto the ball before seeing his low drive well saved, while Freeman’s follow-up flew inches wide. And Osayi-Samuel was at it again moments later, this time breaking down the right and firing just wide of the far post. 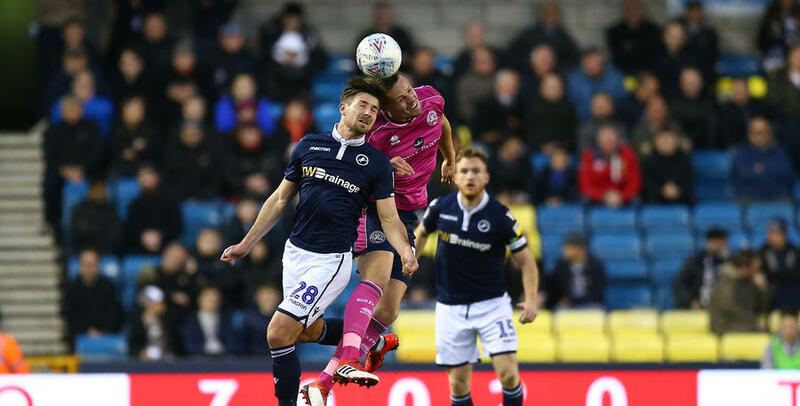 His pace was causing Millwall all sorts of problems, and the Rangers fans – who had been in excellent voice from the start – cheered their team on, clearly pleased with the committed display they were seeing. 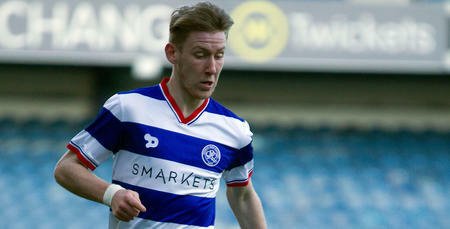 In the end, Rangers accepted a share of the spoils and how important a point could that prove to be for QPR?